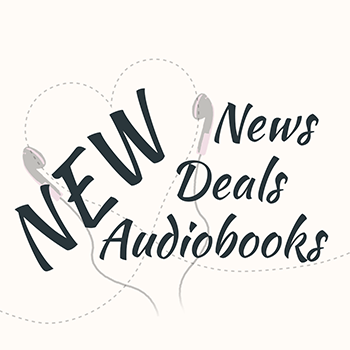 We’ve got lots of awesome new audiobook deals this week and the audiobook giveaway is still running. Last Saturday, we had a fantastic celebration in Romance Audiobook Binge with many authors stopping by and doing giveaways. While that’s over, you can still join the giveaway for an Audible credit here on my blog. It’s part of a post with awesome audiobook recommendations from our group members. Check out the recommendations by Romance Audiobook Binge and enter the giveaway! On Monday, I posted an ARC review of The Queen’s Protectors by Scarlett Snow. The audiobook was only released this week and you can pick it up for $7.49 with Kindle Unlimited. Check out my spoiler-free review here. And since Tuesday you can find a list of all the new releases and the best new backlist additions in the Audible Romance Package here: New in the Romance Package in March. I’ve started listening to a great Urban Fantasy series that’s “Listen for Free” with Kindle Unlimited. It’s A Glimmer of Hope** (The Avalon Chronicles book 1) by Steve McHugh. This is a spin-off/continuation of The Hellequin Chronicles which I absolutely loved. I hope you found some great audiobook deals.